Crockford & co follow up their recent False Memory Lane LP with 2 brand new Brit-psych stormers on traditional 7” vinyl! Who would have thought that 2015 would be such a great time for vinyl record buyers? Despite the major labels getting their claws into Record Store Day, there's a multitude of grass roots labels releasing records that people actually want to own and play, as opposed to squirrelling them away or whacking on Ebay while still in their shrinkwrap. Music lovers of all genres are pretty well served in today's genre-fractured climate, none more so than fans of '60s influenced guitar bands. Thanks to the good folks at State Records there's a new double A-sided 7” from The Galileo 7. Following on from last year's False Memory Lane album, the two brand new tracks showcase the band's knack for uptempo, melodic mod-rock. Hooky guitar lines bolstered by superb organ playing, all topped off by equally inventive vocal melodies and harmonies. It's easy to see why Allan Crockford's previous band The Prisoners were such an influence on The Charlatans and The Stone Roses. Fans of those bands frustrated at the lack of new material should do themselves a favour and get behind a band that actually release records. This one is in ultra-punchy mono, limited to 500 copies, the first 250 of which come with a bonus 3-track CD. Click here for The Galileo 7 website. 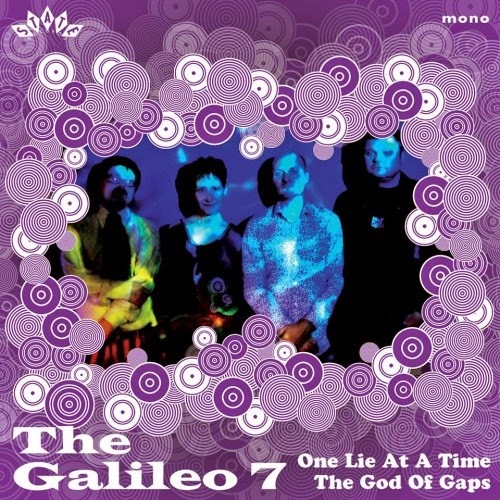 Click here for The Galileo 7 on Facebook. Click here for The Galileo 7 on Twitter. Click here for the State Records website.